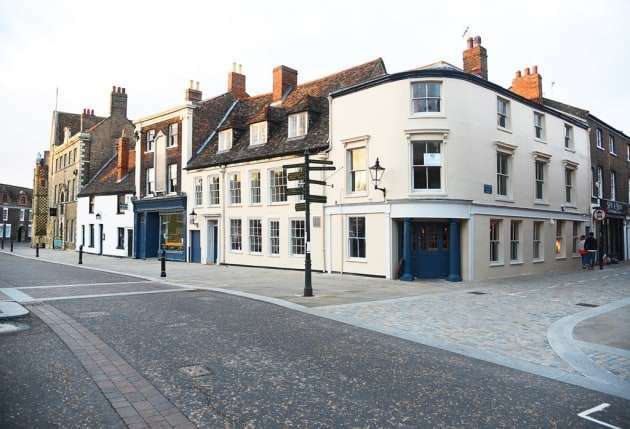 Elite Foodservice Design recently completed a fabulous turn-key installation at the historic grade 1 listed pub Wenns in Saturday Market, Kings Lynn – Now known as Goldings. 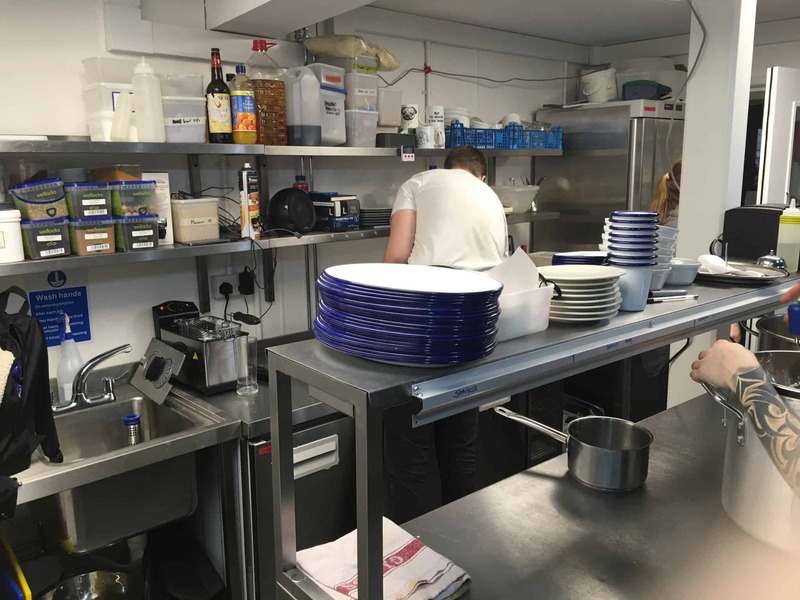 Owner and renowned chef Richard Golding approached EFD after he was recommended to use our services by another client who faced similar challenges opening a restaurant in a listed building. 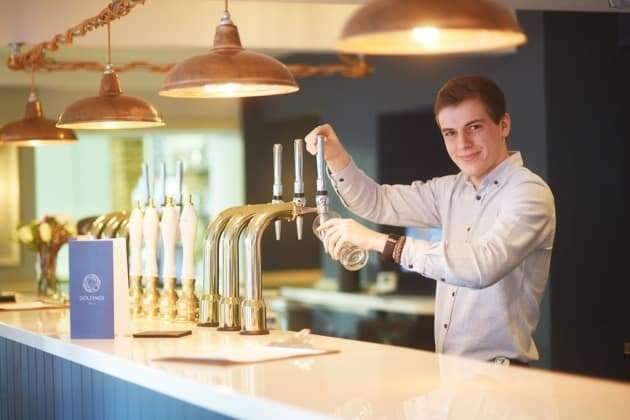 Richard, also owner and head chef of award winning restaurant Market Bistro – located next door, drove his vision for Goldings to become a new standard in pub cuisine, offering a traditional menu made from beautiful, local fresh ingredients and incorporating his own creative twist. 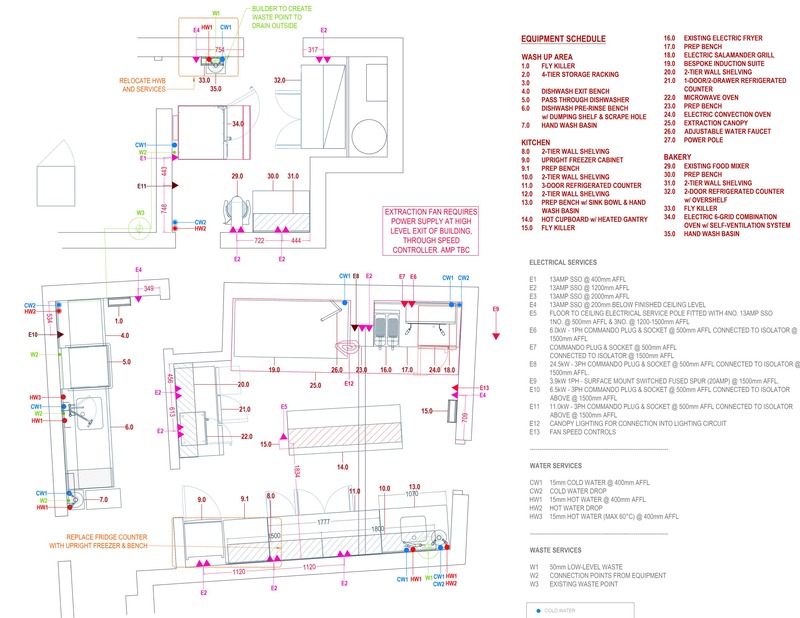 EFD immediately took up the design challenge and worked closely with the Richard to produce initial CAD layouts and 3D visual computer-generated concepts. 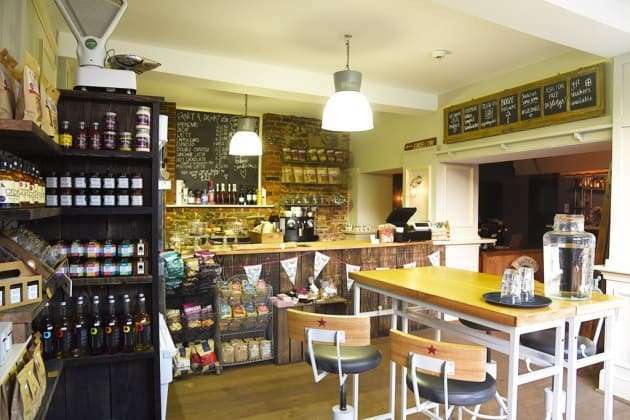 Many challenges were faced during the design process, with a small kitchen area, ceiling height of less than 2200mm and original beams and narrow original doorways proving troublesome. 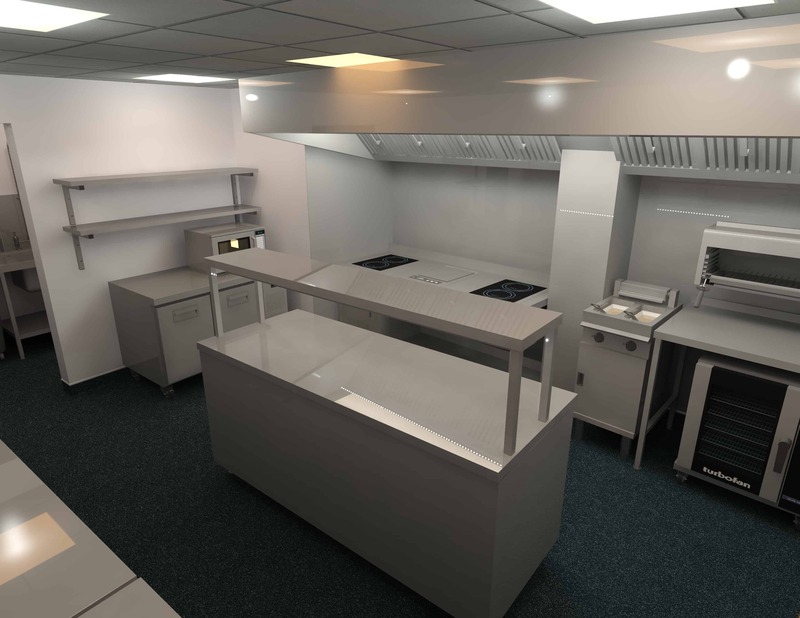 Incorporating a completely bespoke canopy with a central ‘V’ bank of filters we were able to create a canopy to achieve the required extract air flow whilst formed around the fixed columns and beams within the kitchen. 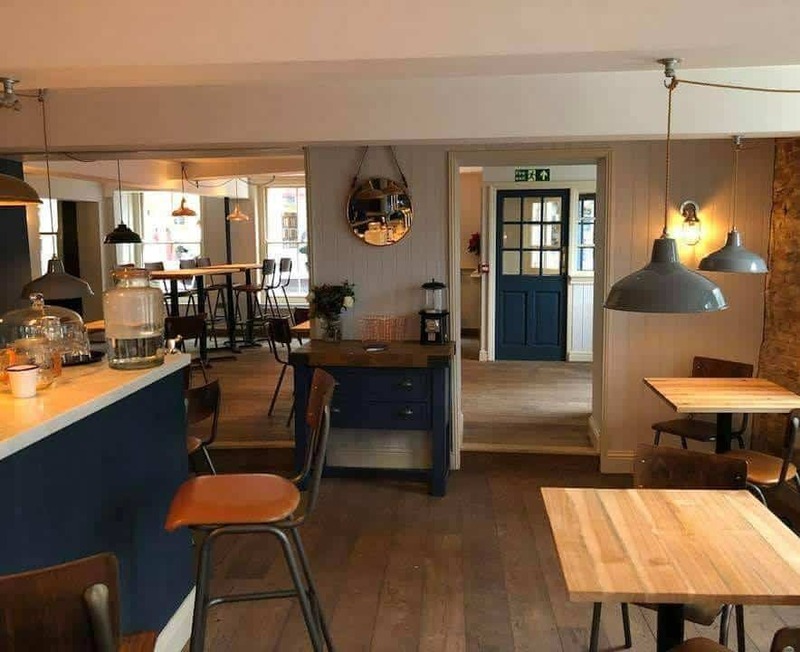 Use of a fully insulated fan and silencers to the duct run outside the building reduced fan noise dramatically so as not to inconvenience the new accommodation rooms located above the pub. 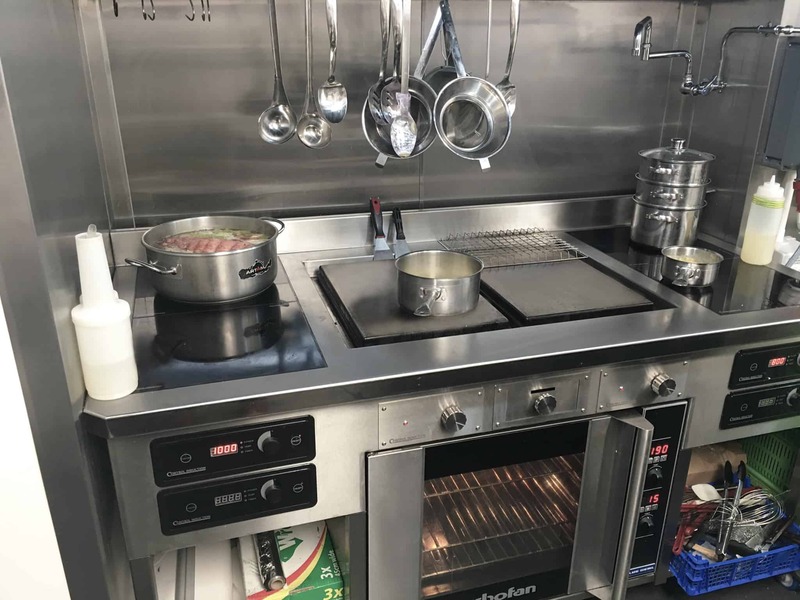 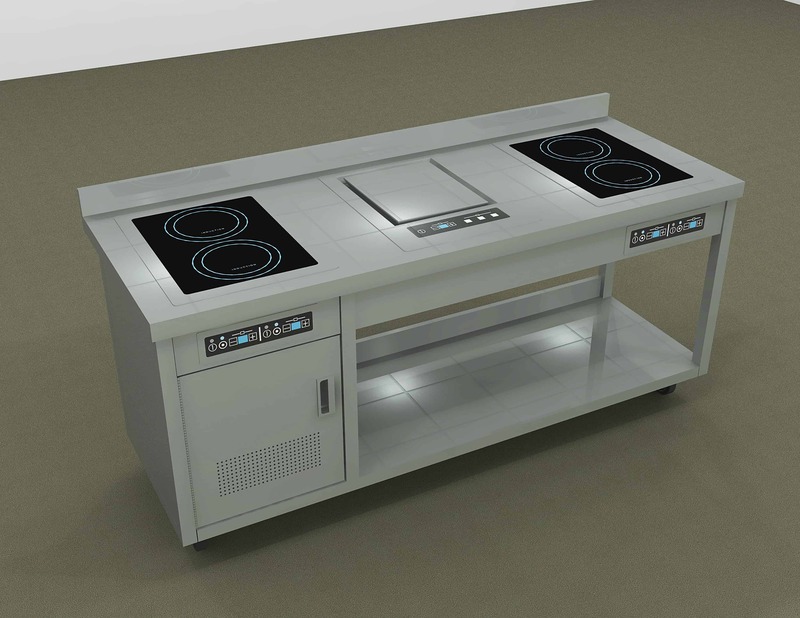 A bespoke induction cooking range was specified and installed, fitting perfectly into a wall reveal and included two double high-powered induction zones, an induction plancha, and a built-in lower electric convection oven. 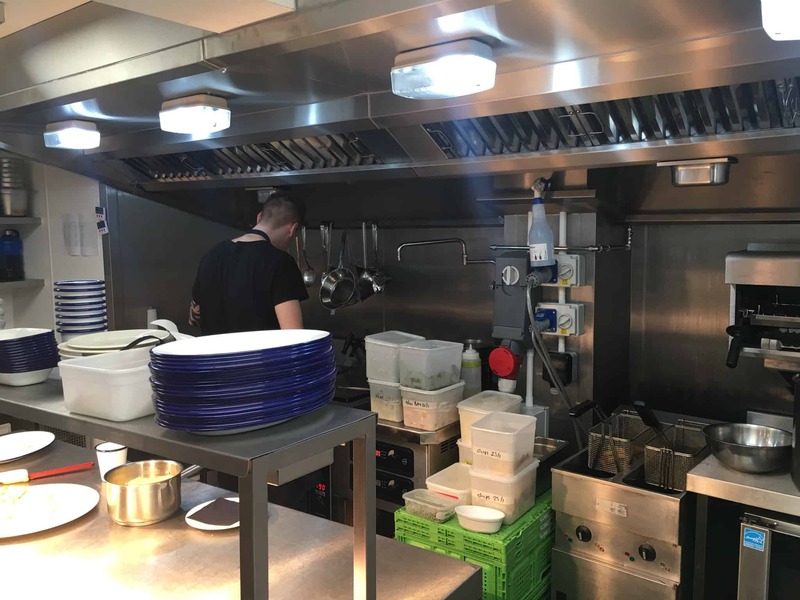 Induction was selected to not only to reduce heat buildup within an extremely tight environment, but to ease cleaning and ongoing maintenance the whole suite was fitted with heavy duty castors. 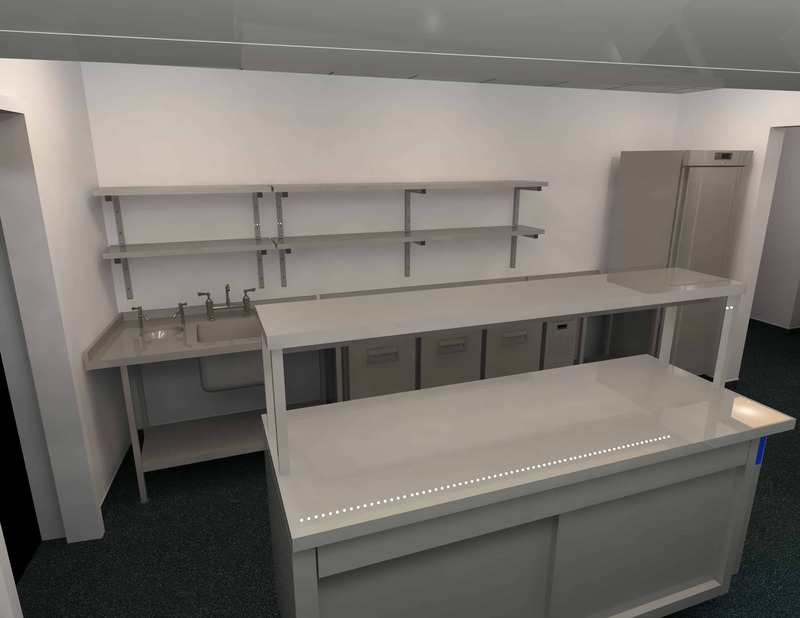 Hygienic Altro Whiterock wall cladding and safety flooring was also specified and installed throughout the kitchen, wash up and rear prep areas. 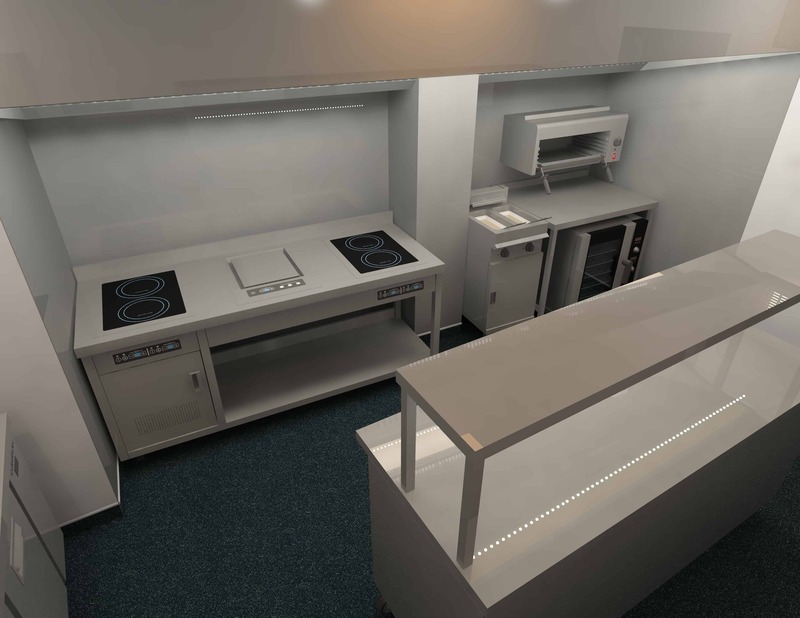 A Rational SelfCooking Centre was specified for the rear bakery and deli area, fitted with an Ultravent ventilation hood. 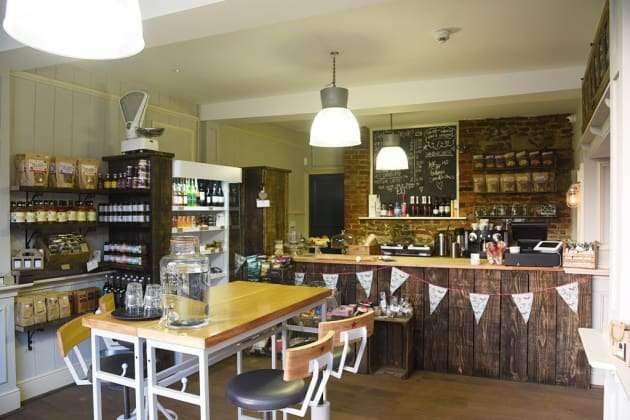 This allowed Richard to bake his own selection of fresh breads and pastries not only for Goldings own deli, but as back up for his fine dining restaurant next door. 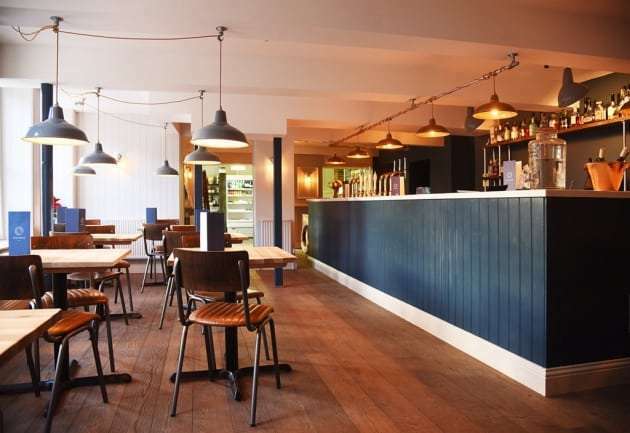 EFD is also renowned for interior design and assisted with ideas for the bar and font-of-house deli area, transforming an original 1940s style interior into a stunning, contemporary bar and restaurant with a comfortable relaxed feel.